Consumers and health professionals are advised that Medela Australia, in consultation with the TGA, is recalling a detachable wall plug, which is a component of the AC power supply for certain personal use Medela breastpumps sold via retailers, pharmacies and online in Australia. This recall does not apply to Lactina and Symphony pumps sold to hospitals or rental providers. 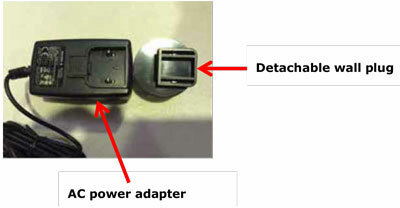 There have been a small number of reports of the detachable wall plug breaking into two parts and potentially exposing the metallic contacts. If this occurs while the wall plug is plugged into an active power point, there is a risk of electric shock to the user. Medela Australia is recalling and replacing the affected detachable wall plugs. Three different detachable wall plugs, sourced from different suppliers, were used in the above products. Only one of these is affected by this recall. The affected wall plugs have no markings on the back, while the unaffected wall plugs have a zig-zag pattern/etching or a white dot marked on them. The wall plug marked with an 'X' is the affected component. Please note that the AC power adapter itself is also not affected by this recall. Neither the AC power adapter nor unaffected wall plugs need to be returned and no replacements are being offered for any unaffected components. If you have a Medela Freestyle, Medela Swing, Medela Swing Maxi, Medela Swing Essential or Medela Swing Premium breastpump, check the detachable wall plug to see if it is affected by this recall. If your detachable wall plug has a zig-zag pattern/etching or a white dot marked on it (as shown in the picture above), then it is not affected by this issue. If your wall plug breaks while plugged in, ensure the power is switched off before trying to remove it. Please note that your breastpump and the AC power adapter component is not affected by this recall and does not need to be returned. Please be aware of the above issue and advise patients accordingly if they seek advice.